to the mystery of life." LIFE ETERNAL is a collection of spiritual teachings of Meher Baba, arranged by subject, in the order in which he gave them. Book One is made up entirely of explanations given by Meher Baba. They are divided by subject into 46 chapters. In each chapter the earliest quotes are at the beginning and the more recent quotes are toward the end. The previously published sources of the quotes are given in abbreviated form. The abbreviations are explained in the Key to Abbreviations. Because EVERYTHING in Book One is a quotation of Meher Baba, individual quotes are not marked with his name. Sometimes an explanation was written up by a disciple from notes Baba dictated. In such cases the quote is marked 'from notes given by Meher Baba. '��I think these rewritten statements are fairly trustworthy, but they are not in Baba's exact words. Even ordinary quotes of Baba have often been reworded by editors and translators. After reading a chapter of Book One, take a look at the corresponding chapter in Book Two. Some of the most interesting material is there. There could have been many more subjects covered here. The choice of subjects is essentially arbitrary. Book Two contains stories, anecdotes, quotes from Meher Baba's disciples and devotees, etc. 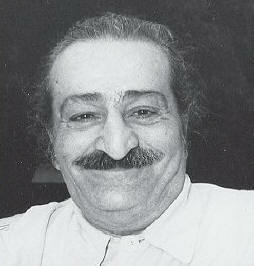 There are also a number of direct quotes of Meher Baba that require background information to be understood (the quotes in Book One are generally self-explanatory). In Book Two all quotes of Meher Baba are followed by his name. Quotes of others (for instance, Eruch Jessawala) are followed by their names. Any unattributed part of the notes is by the editor. This is different from Book One, where ALL quotes are of Meher Baba, but are not marked individually with his name. Within each chapter, the material is generally arranged in sequence of time; meaning that quotes or stories from the 1920s come first, then those from the 1930s, and so on. But there are a few exceptions. There are 53 chapters in Book Two. AGENTS are men and women who work on the inner planes of consciousness for Perfect Masters and the Avatar. There are also discarnate Agents who are of a different line of evolution. ANGELS are beings who live in the inner planes. ARCHANGELS are beings who live between the sixth and seventh plane. THE ASTRAL WORLD is the realm between the Gross and Subtle worlds. It is also called the Semi-Subtle world. Most souls go here between lives before and after experiencing 'heaven' or 'hell' states. THE AVATAR was the first Master of the first God-realised soul. He incarnates from time to time as a human being and oversees the creation. Buddhists call him the Buddha, Jews call him the Mashiakh, Christians call him the Christ, and Muslims call him the Rasool. COMING ATTRACTIONS is a chapter of some of the things Meher Baba said about the future. Since the quotes start in the 1920s, many of them have already come to pass. This chapter is in two parts. CREATION: How the universe came about. DEATH: What happens when we die. DESTINY: Why what happens happens. The old question of fate versus free will. DIET: What Meher Baba said about food. DREAMS: Baba said there are seven kinds. Some are explained here. DRUGS: What Meher Baba explained about mind-altering drugs like the psychedelics, as well as the opiates, alcohol, coffee and tea. FOLLOWING MEHER BABA: A few of Baba's explanations about how to follow him. GOD-REALISATION: The highest state of consciousness and the goal of all life. LIBERATION: Baba used the word 'Liberation' for when a person attains God-realisation at or after physical death. Liberation is the final goal for the great majority of souls. A very few, having realised God, continue to live physically: they are Majzoobs, Jivanmuktas, Paramahansas and Perfect Masters. LOVE: What Meher Baba explained about the different kinds of love. THE MANDALI were those who lived with and were trained by Meher Baba. MARRIAGE: Who should marry, who shouldn't, and why. MASTS are spiritually advanced souls who appear mentally ill. MEDITATION: How and when to do it, and why. MIRACLES: and their relationship to spirituality. MISCELLANEOUS: Material that didn't seem to fit well in any of the other chapters. MORALITY: How to act, how to live. THE NOW: About living in the present. THE PATH: The soul's journey through the seven planes of consciousness. PERFECTION: When a God-realised soul returns to normal consciousness to help and uplift others. PRAYER: What Baba explained about prayer. For prayers he gave, see 'Prayers' in Book Two. QUALIFICATIONS: A set of four articles by Meher Baba entitled 'Qualifications of the Aspirant,' originally published in the five volume version of Discourses. These articles are an introduction to the spiritual path. Like the rest of the Discourses, they were written up from notes dictated by Meher Baba, probably by Chakradhar Deshmukh. RELIGION: Meher Baba explained that the various religions are like patent medicines, which can, at best, alleviate one's symptoms, but not cure. For the cure, one must, he said, go to the specialist, the Perfect Master. SAINTS: Spiritually advanced souls who have the power to help others, How to tell the real ones from the false. SACRED PLACES: Places charged with spirituality by the Masters and saints. SPIRITUAL PRACTICES: What we can do to find God (other than prayer and meditation, which each have their own chapter). STORIES: A few of the many stories Meher Baba told. SURRENDER: The attitude of giving over everything physical, subtle and mental to God or to a Perfect Master. AFFIRMATIONS: Meher Baba sometimes gave people what we now call affirmations. A few are collected here. DISCARNATE MASTERS: As a rule a spiritual teacher or Master must be physically incarnate to help others. This note is about some of the exceptions. FALSE BELIEFS: Some common misconceptions. MAYA: is the principle of ignorance. OBEDIENCE: Masters sometimes require obedience of their devotees. Why? PRAYER: A few prayers dictated by Meher Baba, and information about how they were written and how they were to be spoken or sung. SANSKARAS: The 'imprints' on the Mental body left by experience. These imprints are what motivate all our thoughts, speech and action, and they have to be gotten rid of to realise God. SPIRITUAL HIERARCHY: The creation is governed spiritually by a group of advanced souls, led by a Perfect Master or the Avatar. This note includes some of what Baba explained about the functioning Spiritual Hierarchy. THEOSOPHY: a spiritual movement that began in the 1880s in America, and spread to England, Europe, India and Australia. The Theosophists taught of the underlying unity of all religions, reincarnation and karma, the higher planes of consciousness, spiritual advancement, and spiritually advanced souls. 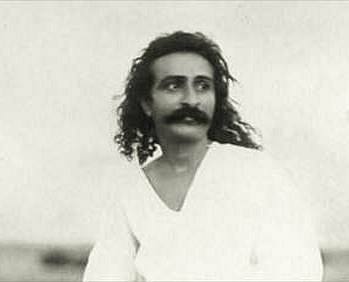 Several followers of Meher Baba had a background in Theosophy, and this chapter includes some of Baba's explanations to them. WORK FOR BABA: Some of what Baba explained about working for him and for his spiritual cause. These five books are fairly easily obtainable and have indexes. You don't have to buy them. Your local public library can probably get them for you, free of charge, by interlibrary loan. Just ask at the main desk. It may take a week or two. (Check first in case the book you want is already in the stacks of your local library). There are many other books by and about Meher Baba, but without indexes, so searching for something particularmeans wading through the entire book. For a list of these books, see 'Further Reading.' Another good place to look is the websitelordmeher.org which is a searchable biography of Meher Baba by Veer Singh Kalchuri. "The great enemy to spiritual progress is the belief you know already. Knowledge is unfolded. Pray to be willing, at every stage, to be ignorant, so that you can be really taught." "One last word of apology. In a work of this nature, involving close application to detail, and at the same time covering an immense field, wrought out alone and unaided, mistakes, both of commission and omission, must inevitably have occurred. Should any student detect any of these, would he be so kind as to inform the compiler, so that, in the event of future editions, the errors may be set right?" "... I love and adore all religions; but I am of no religion. Nor do I seek to establish another religion, or add to the numberless illusions that divide man against man. "No religion was ever intended to be anything more than the gateway to God as Truth; but every religion, in the course of time, has been converted into a veil, obstructing the undimmed perception of the one Truth. "As soon as the Truth of direct inner Realisation is intellectualised and formulated, it gets enmeshed in creeds and dogmas. These creeds and dogmas have a tendency to bind the soul in the very attempt to emancipate it. They cover the Truth in the very act of seeking to express it. "This comic tragedy reveals itself in the retrospective analysis of all the world religions bestowed on man. But it is not inevitable, if man is invariably vigilant, and remains unwaveringly loyal to the inner perception of the inexpressible but unchangeable spiritual Truth, which ever affirms itself as the one all-embracing Life Divine, at once indivisible and illimitable." "The number of my devotees is great, but the number of my disciples is much less. The devotee seeks the pleasure of his own devotion, while the disciple's only duty is to obey the commands of the Master, which is much more difficult. Devotees select their own Master and surrender to him. A Master selects his own disciples. Therefore, many can become devotees, but only a few can become disciples." "Just as a thirsty man in the desert under the hot sun values water more than a heap of pearls and diamonds placed before him, so also, a true lover of God wants him alone, and considers every other object as a trifle before him. The real lover desires no name, fame or money, but his beloved. He who does not possess such an attribute is a man full of self-interest." Don Stevens visited Meher Baba in the 1960s in India, and remembers the following conversation. Baba's speaking of himself in third person was the result of his communicating by hand-gestures through an interpreter. On this particular occasion we were discussing some of the things in the Discourses, and I just tossed off that I was just not sure that this was ever going to be particularly used, as there were so many people that feel that it is impossible to embody the realities of spiritual attainments in words, that words can actually detract -- even Baba's words. "But Don, how could people ever feel that way about Baba's words?" He said, "As Baba works on these words that He gives out, he attaches to each word a spiritual energy of great quantity, great proportion -- and the individual who takes the trouble, even without understanding, to read Baba's words, taps into this gift of spiritual energy which the Avatar has attached to his own words." "It is your responsibility, Don, to impress upon the people that you are around that Baba has done this, and this spiritual gift that Baba has attached to His words will help them enormously in their own spiritual ongoing." "... He who would deeply ponder over the truth which I declare shall eventually be initiated into the LIFE ETERNAL."